After unveiling the generation next Toyota Corolla Altis last year in June and showcasing the same during Indian Auto Expo 2014, the Japanese auto giant Toyota Motors is finally going to launch it tomorrow in the Indian car market. The company had started the booking of this luxurious sedan on the payment of Rs.50, 000 couple of weeks and is speculated to deliver it one week after the launch. 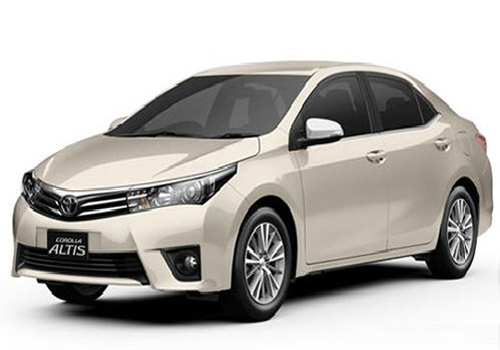 Based on Furia concept the new Corolla Altis looks more dynamic and aggressive as compared to outgoing Corolla Altis. To begin with greasy components the Japanese car maker will continue the same engine configurations in both petrol and diesel variants. This means that petrol variant will be empowered with 1.8 litre VVT-I petrol engine developing the power of 136 bhp and torque of 173Nm, whereas the diesel variant will also carry the same 1.4 litre D-4D diesel engine churning the power of 87 bhp and torque of 215 Nm. Apart from offering both engines coated with six speed manual transmission system, the top end models in petrol variant might be offered with seven speed automatic transmission system. 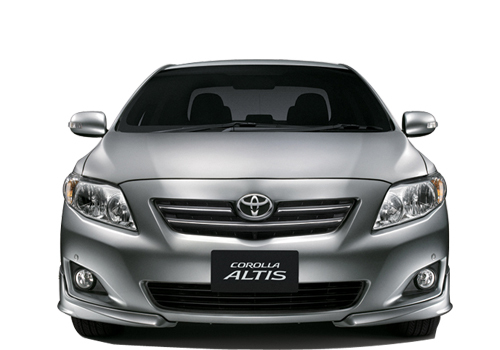 Talking about the changes made in new Corolla Altis, the exteriors now receive newly developed bumper with sharpened lines, new chrome grille with three slats followed by additional grille at the beneath of the bumper. The length and width of sedan has been enhanced followed by additional wheelbase of 75mm.